Fancy exploring the bustling souks to take in the sights, the sounds as well as the smells that are a true delight for all the senses. Perhaps you'll want to venture to the surrounding desert landscapes and don't forget those striking sunsets. 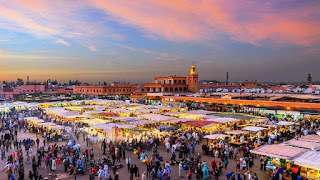 Marrakech, the fourth largest city in Morocco is an amazing destination that offers so much for the intrepid traveller all year long. It boasts some amazing architecture dating back centuries, wonderful gardens and amazing historic buildings and palaces all of which can be explored freely. British Airways have confirmed they will be launching a new direct service to Marrakech from Heathrow. 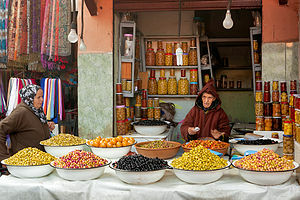 The airline already flies from Gatwick to Marrakech eight times a week. The new Heathrow service starts on 28th October and will operate four times a week from Terminal 5. During the winter season, the carrier will operate on Thursday, Fridays, Saturdays and Sundays. British Airways is offering return fares start from £132 in Economy or Euro Traveller as BA call it and £332 for the business class / Club Europe.